Anti-VEGF is a drug that is used to suppress neovascularization in the retina (neoplasm). It blocks the action of a substance called Vascular Endothelial Growth Factor (VEGF), one of the main reasons for the growth of new vessels. Blocking or suppressing VEGF prevents further blood vessel growth. In some cases, its application has practically led to the regression of new vessels. Angioid stretch marks and others. These newly formed blood vessels omit fluid and blood, thus causing blurring of vision, blurring, retinal detachment, retinal haemorrhage, and so on. Remaining without treatment these diseases and newly formed vessels lead to severe and rapid loss of vision. The purpose of the intraocular administration of anti-VEGF medication is to suppress the formation of new vessels and reduce the loss of vision. It prevents further deterioration of the condition, and in some patients an improvement in visual acuity may be achieved. The medicine can not restore or guarantee 100% sight. 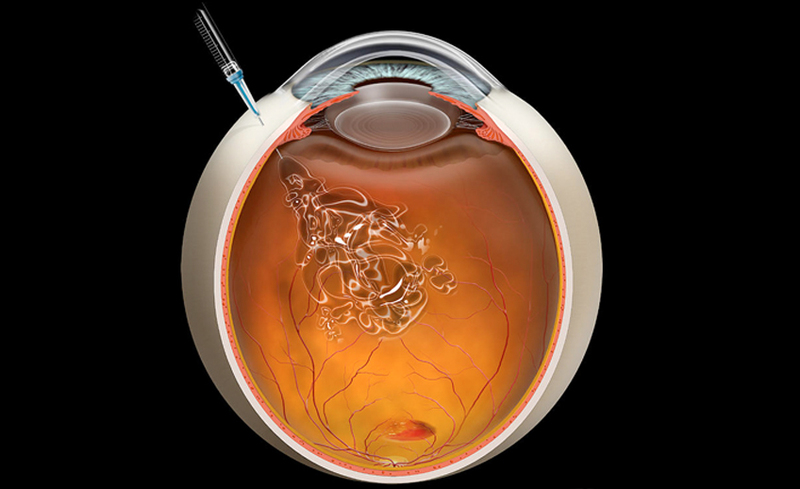 Intraocular injections of anti-VEGF medication are administered at regular intervals (between 4-6 weeks).